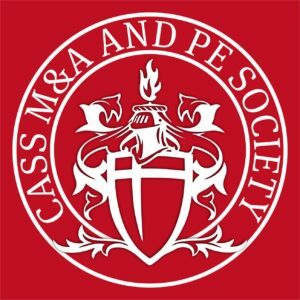 The Cass M&A and PE Society provides members with an insight into the world of deal-making and the M&A process. Our regular events each year discuss industry developments, analyse the latest market trends and provide career advice to aspiring investment bankers from the industry’s biggest recruitment specialists and leading corporate financiers. Our work is not solely restricted to M&A and PE as we look to explore the wider corporate finance landscape and touch upon the fields of equity capital markets and other investment banking activities.